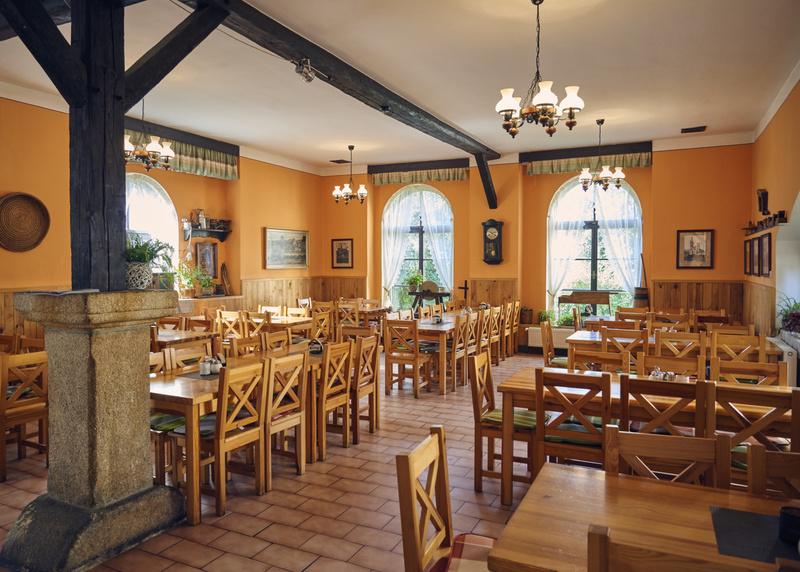 There are three stylish restaurants in Selský Dvůr. 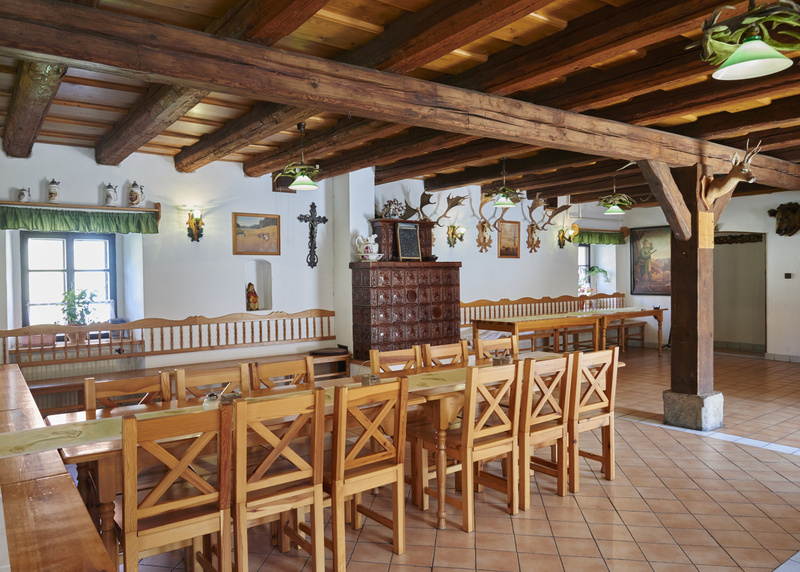 The main restaurant serves as a place for catering or a simple sit-down with good food and drink. 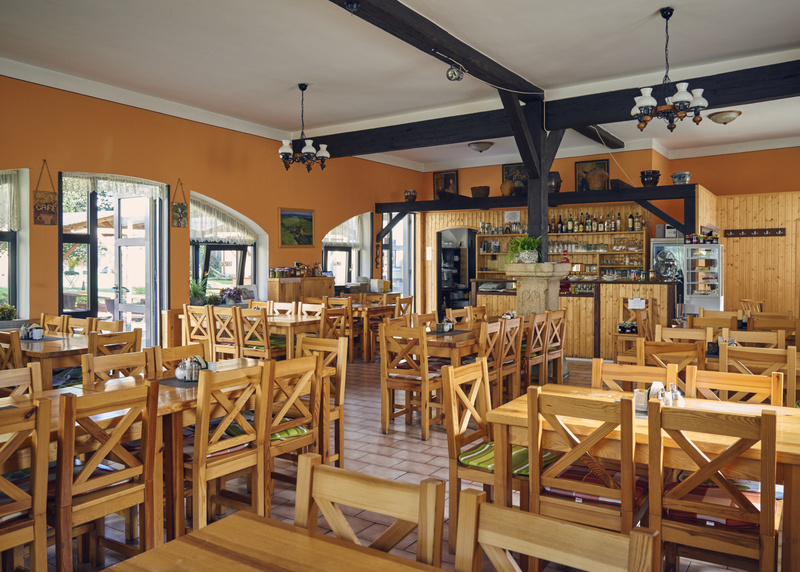 The other two restaurants, the large and small ones, are especially used in summer. They are suitable for wedding receptions, private or company parties. 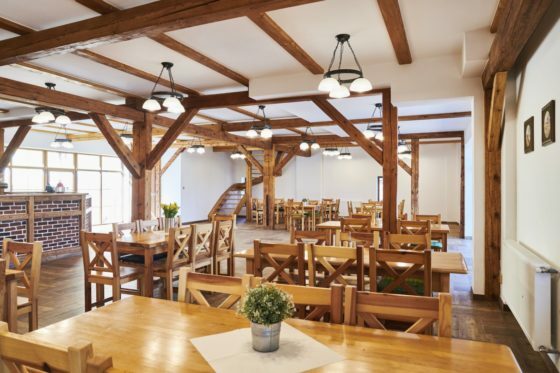 The restaurant provides 230 seats in summer and 170 seats in winter. Enjoy the nice sit-down on the terrace of Selský Dvůr. 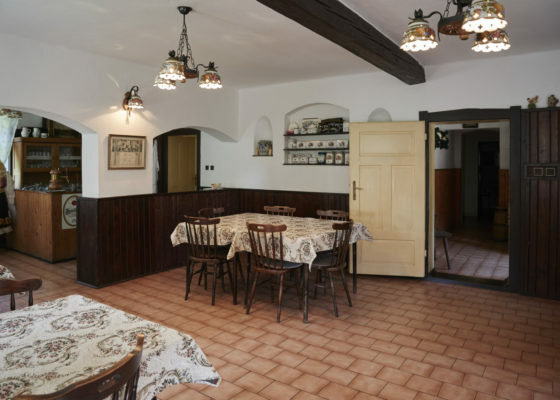 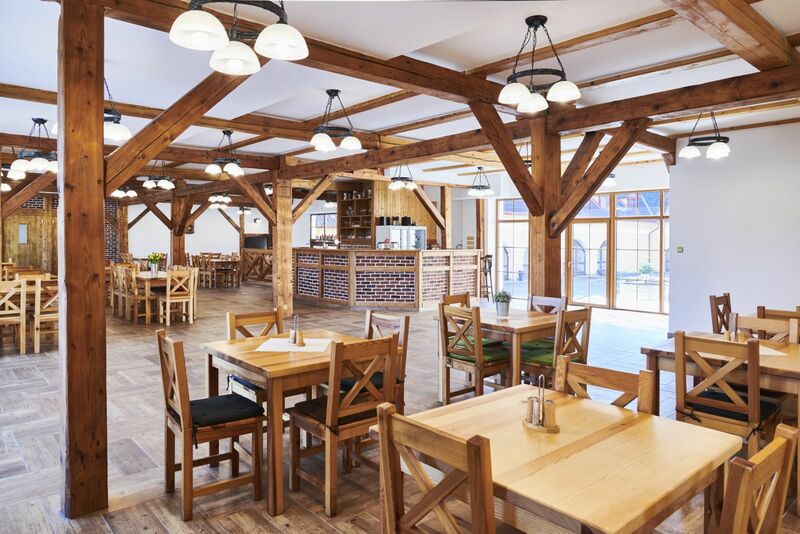 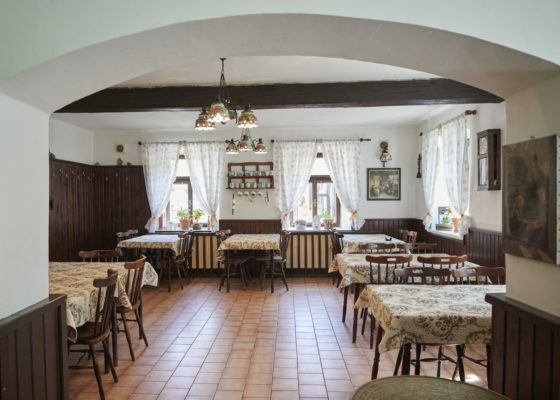 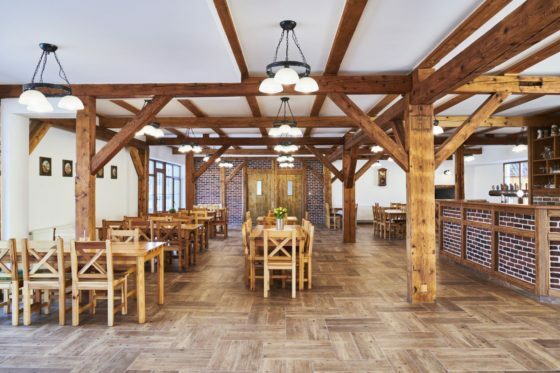 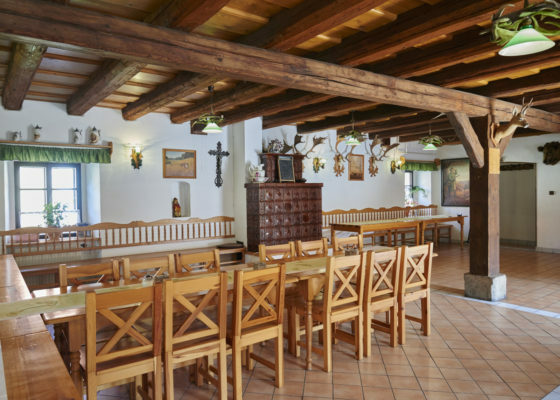 The menu includes traditional Czech cuisine dishes, home made cakes and sherbets. After eating a good meal you can drink draught beer such as Bernard 11°, black Bernard 13°, Pilsner Urquell and non-alkoholic beer Radegast.